Roads have stories. 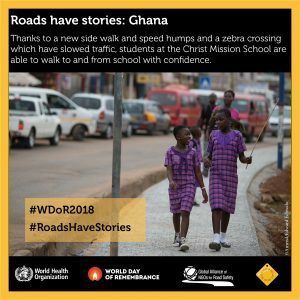 The story of this road outside Christ Mission School, Accra, Ghana shows how simple changes to the road have made students safer. There is a sidewalk so that children can walk with confidence separate from the traffic, the passing cars are slower than they used to be and students can cross safely at the zebra crossing. It hasn’t always been this way. In 2016, NGO Amend assessed the area around the school and worked with the school and authorities to make safety improvements. Prior to this, road crashes involving children from the school were worryingly commonplace—three to four per term, most of them requiring hospital care. The new safety measures have made a big difference to the students, the school, and the community as a whole. 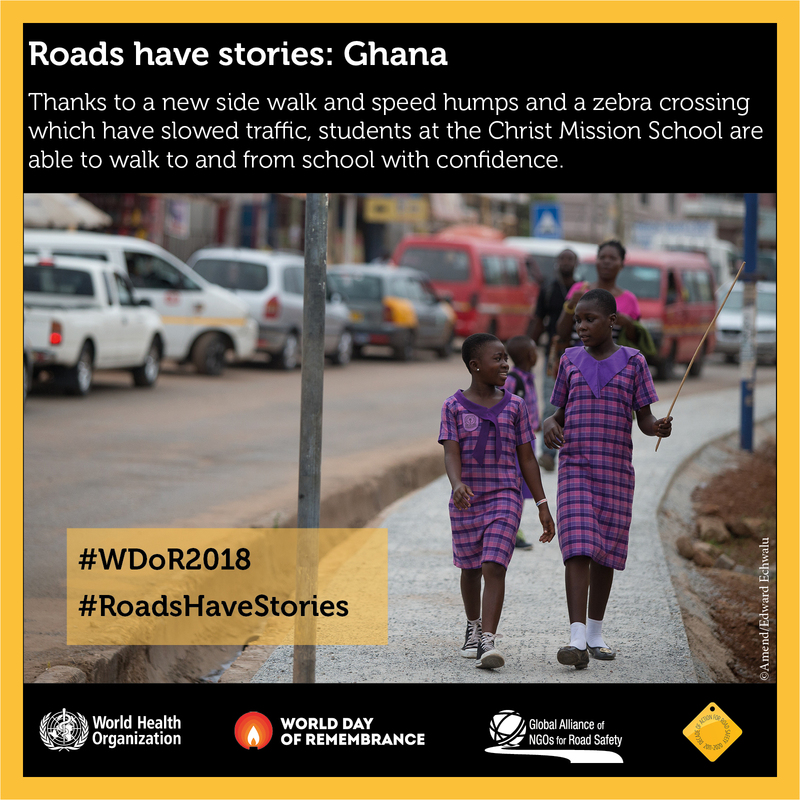 Road safety infrastructure that helps drivers and pedestrians to act responsibly doesn’t need to be expensive and the benefits are not only lives saved, but the right of every child to attend school safely and with confidence.